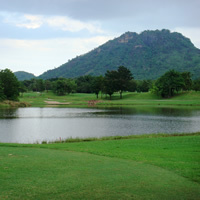 Lake View suits the average club golfer and the low handicapper. There are a number of hidden holes with greens not visible from tees which tend to give one a sense of adventure. Well-defined rolling fairways provide necessary pointers for you to retain a sense of direction while large mounds and strategically-placed bunkers which catch the errant shot produce a succession of testing golf holes.